Like many young Maldivians, Ali Farooq thought he would end up doing a desk job like an accountant after graduating from high school. But while studying for A-Levels in capital Male, he met a couple of friends working in resorts. What they told him completely changed his life! Ali realised that he had been preparing himself for the wrong profession; that no other industry in the Maldives had a brighter future than hospitality. 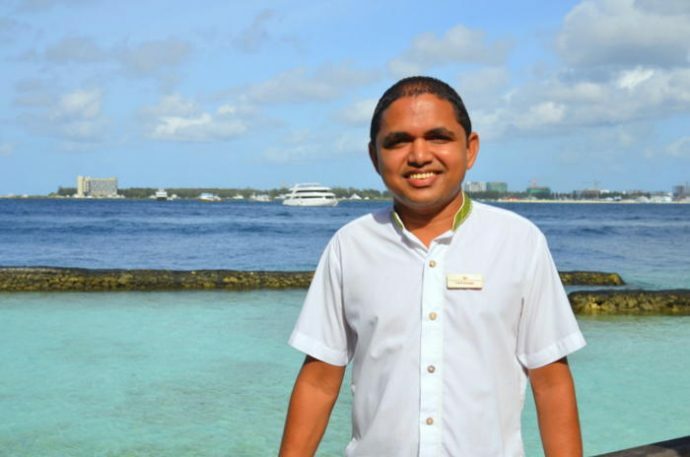 And so, after A-Levels, he pursued a course from Hotel School (now Faculty of Hospitality and Tourism Studies of The Maldives National University), and joined Kurumba Maldives in 2001 as a waiter under a six-month internship programme. Since then, it has been one achievement after the other for this young man in his early 30s. Ali has climbed up the ranks to become the Operations Manager — the second-in-command — at Kurumba Maldives. He plays a key role in leading the constant evolution of the first resort to open in the island nation. Maldives Insider speaks to Ali about his career, the transformation of Kurumba and the opportunities for locals in the Maldives tourism industry. 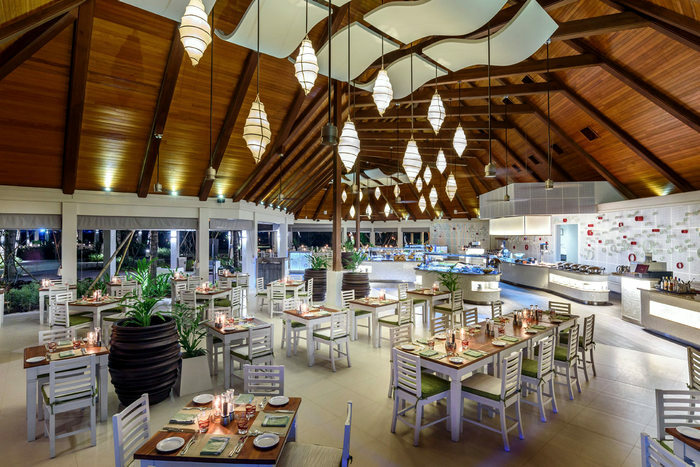 Maldives Insider: How would you describe your first few years in the industry? Ali Farooq: When I joined Kurumba as a full-time waiter after my six-month internship, it was gearing up for a complete reconstruction. Employees were given two options; to stay and help with the project or leave and come back after the relaunch. Those of us who stayed were tasked with support services such as managing the inventory. I was 18 years at the time and in the mood to enjoy life. With no guests in the island, it was more of a picnic than a job. We had so much of a good time that sometimes I wished the project had gone on a little longer. 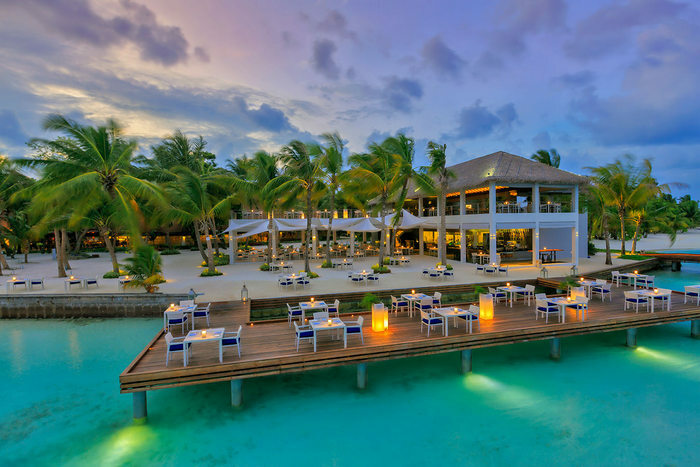 Kurumba transformed from Kurumba Village to Kurumba Maldives, targeting the high-end clientele. The resort offered the best accommodation options available in the Maldives at the time and introduced butler service in all premium rooms. I was amongst the first four butlers trained by a German expert. It was very complex, but I learned a lot from it. It opened my eyes to the service industry. After the training, I became the first butler in the Universal Group. MI: What were your experiences as a butler? AF: From 2004 to 2006 were the golden years of Kurumba, as competition was basically non-existent. It allowed us to charge premium rates and butler service was a major component of it. I had the chance to serve several high-profile personalities such as US presidents George Bush and Bill Clinton, then UN Secretary General Kofi Annan, then Emir of Qatar Sheikh Hamad bin Khalifa Al Thani, and many others. You don’t even believe it yourself when it happens; a nobody from a small country in the Indian Ocean gets the chance to meet and interact with the most powerful people in the world! I was earning so much as well — sometimes more than even the General Manager — that I thought I’d never take up another job. MI: How did your career take a turn towards food and beverage? AF: After 2005, a lot of new resorts opened up across the Maldives, including private islands in some remote locations. Demand for premium rooms in Kurumba started dropping, and butlers were sometimes left with no work. I realised that it was time for me to move on. 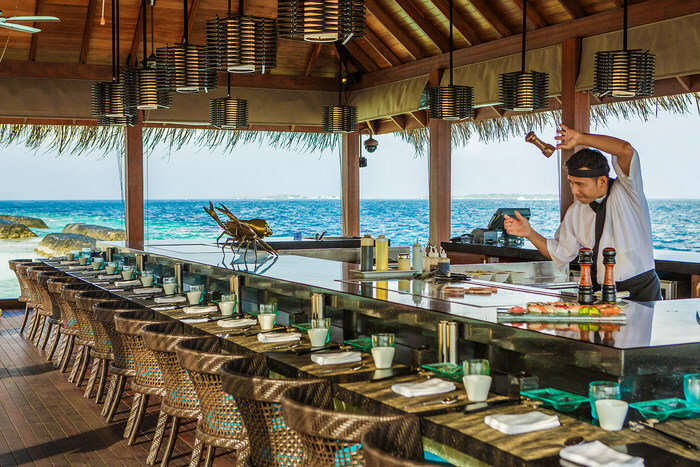 At the time, Kurumba offered me the chance to enter into restaurant operations. I took up the task, and within six months I was promoted to the post of Assistant Restaurant Manager. From there, I went onto become Bar and Restaurant Manager. I was in restaurant operations until I was promoted to the post of Assistant Food and Beverage Manager in 2014. After two years in that position, I was appointed to the post of Food and Beverage Manager. Now, after being promoted to the post of Operations Manager from the Food and Beverage Manager position, I have an added responsibility to look after the overall operations of the resort. I serve in a supportive role to the General Manager. MI: How has Kurumba transformed over the past 40 years, especially during your career? AF: When I first joined, it was very basic. After the relaunch in 2004, it became a completely new product. In 2014, we carried out a major project to establish our signature Thila restaurant and to revamp our main restaurant. We’ve also established a new Japanese restaurant and reviewed the concept of all of our speciality restaurants. I think Kurumba does maintenance and upgrading better than any other property in the Maldives. 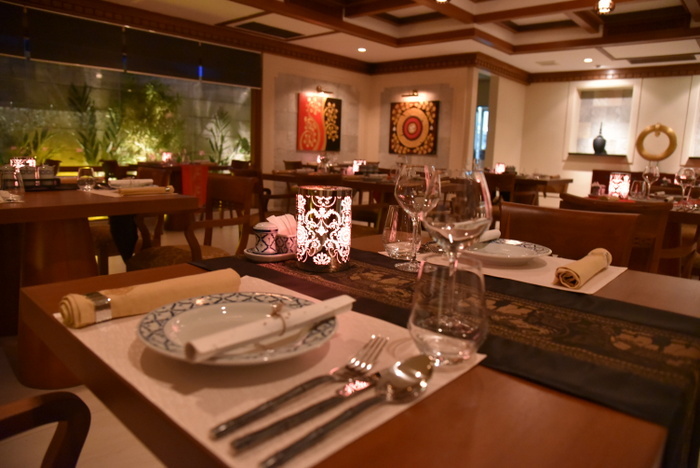 Every year, something new comes up, be it a new villa category or a new restaurant. We do it because we understand the importance of implementing new and creative ideas, especially in a competitive market such as ours. This constant evolution has become one of our strengths. We keep a close eye on the latest happenings and trends in the industry. Based on our findings, we keep on changing the interior of our rooms, and keep our food and beverage options up-to-date. But as the first resort in the Maldives, we’ve several traditional service cultures that we follow. So, whatever change we bring about, we make sure that Kurumba’s uniqueness and its traditional values are kept intact. MI: With the rapid expansion of the tourism industry, how has Kurumba maintained its position as a leading resort in the Maldives? AF: I think we’re doing very well. Over the past 40 plus years, we’ve established service standards that are on par or sometimes even exceed those of reputed international hotel chains. Whoever comes in to head the resort has a responsibility to maintain those high standards. We’ve been very fortunate to have that kind of leaders with us. 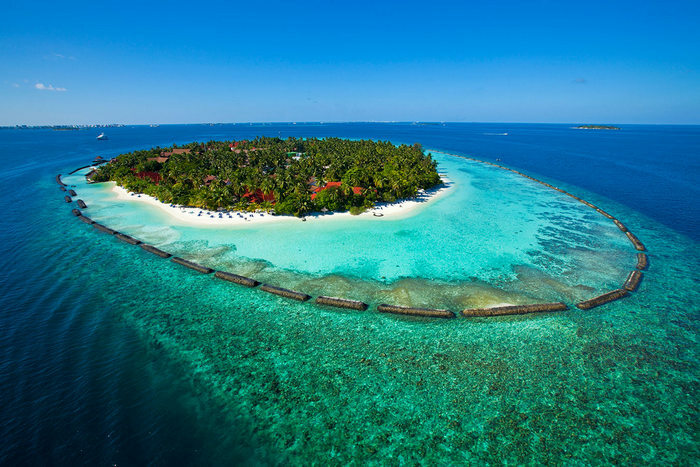 Our achievements can be seen in the number of awards we’ve won, including several prestigious titles at the World Travel Awards, World Luxury Hotel Awards, World Luxury Restaurant Awards and Maldives Travel Awards. Our reputation on online travel websites such as TripAdvisor are excellent. MI: There are concerns that the industry does not provide enough opportunities for locals to reach key positions. What do you think? AF: I’m totally against that claim. There are many opportunities, but we’ve a hard time finding competent locals to fill up those positions. We get 50-100 applications for every job posting, but only a few them come with even the basic mindset necessary for a career in hospitality. Even those that do travel and tourism as a subject for O-Levels and A-Levels want to work only in managerial positions. But this is an altogether different industry. Say for example, a doctor has to start from the bottom before specialising in the field they’re interested in. Likewise, hospitality professionals can only start at the bottom and climb up the ladder. It’s a journey, which will surely pay off. We try to develop young talent, but high school graduates aren’t ready to work in this industry. Starting from primary school years, students should be given career guidance. What happens now is that students who finish O-Levels and A-Levels aren’t sure which career path they want to follow. This poses several challenges because attitude is key in hospitality. Anyone who has the right attitude can be groomed for whatever job in this industry. There’s also a problem with the general attitude and lifestyle of our youth. Most of them want to be funky; have long hair, untrimmed beard and unclipped nails. They want to go to Male every night after work, sleep in during the weekend and so on. But like every other service industry, hospitality too has certain minimum standards that can’t be compromised. MI: What should be done to encourage more and more young people to join the hospitality industry? AF: A great deal of it involves creating public awareness and changing the mindset of the public in general. You might have to be away from your family for a little while, but you save up 100 percent of your salary and allowances for your family. The resort looks after your accommodation, food and everything. But some of our young people prefer to take a job in Male that pays just MVR3,000-4,000 than going to a resort for a job that pays over MVR10,000 as basic salary. On the other hand, we’re also seeing some positive changes as well. More and more young people understand the importance of tourism for the Maldives, and are keen to explore a career in hospitality. If the right push can be applied through our education system, we will have a much brighter future where the industry will be dominated by locals. MI: What are your biggest achievements? AF: I’m still in my early 30s, and look where I’m today! In the past 15-16 years, I believe I’ve been able to climb a bit higher than I should in my professional career. I’ve achieved every single goal that I set my eyes on. My involvement in the transformation of Kurumba is also a personal achievement to me. I started my career here. I also started my life here; I met my life partner here and we stayed here for almost two years until she got pregnant and moved to Male. So, it’s special for me in more than one way. MI: What is the next step in your career? AF: I’ve always dreamed of becoming a general manager one day. I think I can reach that level, and I’m surely working towards that goal.